and celebrating the two leaning towers: Tiger Hill Pagoda in Suzhou China, and the Leaning Tower of Pisa in the Province of Pisa is located in the beautiful region of Tuscany in Italy. The Tiger Hill Pagoda is a dazzling gem of the traditional Chinese art, and the Leaning Tower of Pisa in Italy is a wonder of the world's cultural heritage. Both of them are unique representatives of the Eastern and Western cultures. 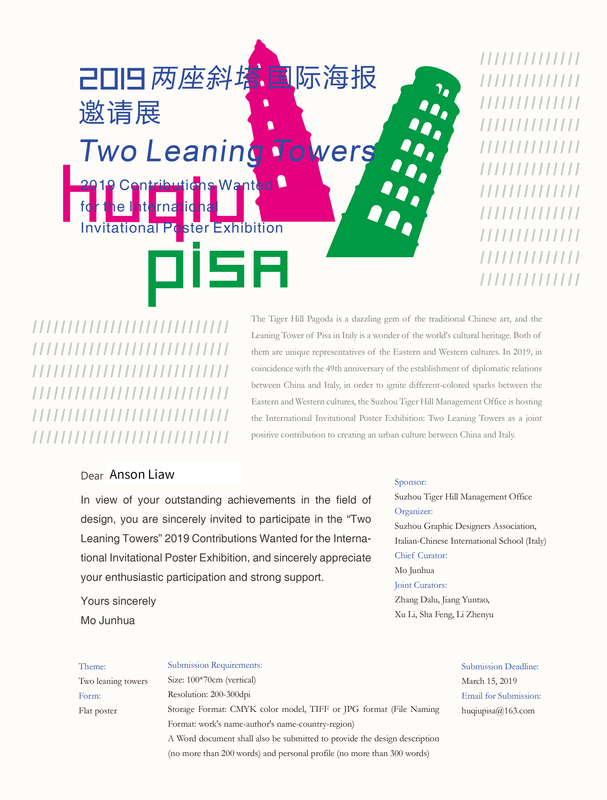 In 2019, in coincidence with the 49th anniversary of the establishment of diplomatic relations between China and Italy, in order to ignite different coloured sparks between the Eastern and Western cultures, the Suzhou Tiger Hill Management Office is hosting the International Invitational Poster Exhibition: Two Leaning Towers as a joint contribution to creating an urban culture between China and Italy. 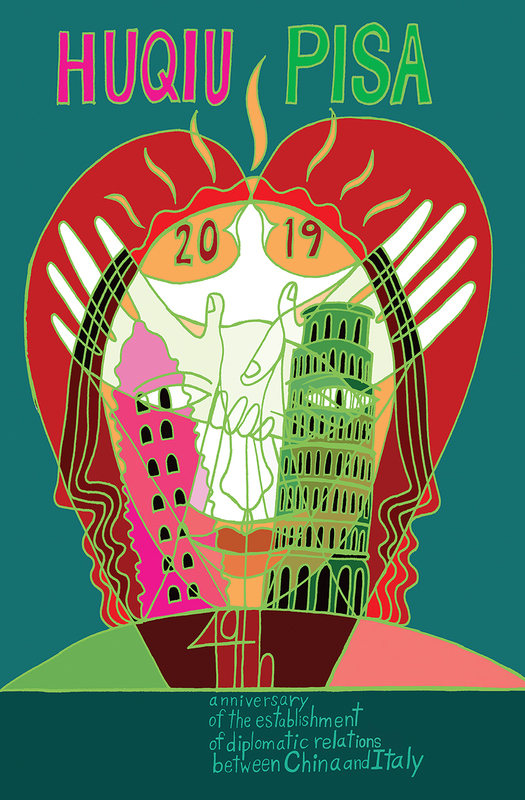 100 posters will be on exhibition for the Two Leaning Towers 2019 International's Poster Exhibition created by invited and selected 100 graphic designers and illustrators from around the world.